CSX | How Tomorrow Moves | Canvas Work Jacket. CT2544 - 100% Cotton canvas; 12oz. Wind and water resistant. Snap chest pockets, soft jersey knit hood. Quilted lining and snap cuffs. Machine Washable. 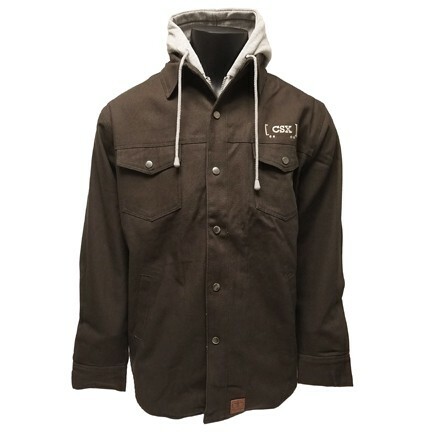 Bark (Dark Brown) with CSX railcar logo embroidered on left chest.